Do you have too much stuff? Is your mind, home, or office in your way of getting things done? Having too much might sound like an oxymoron to some, but the reality is that too much of anything can be a bad thing. In fact, this is pretty much the central maxim of minimalism. 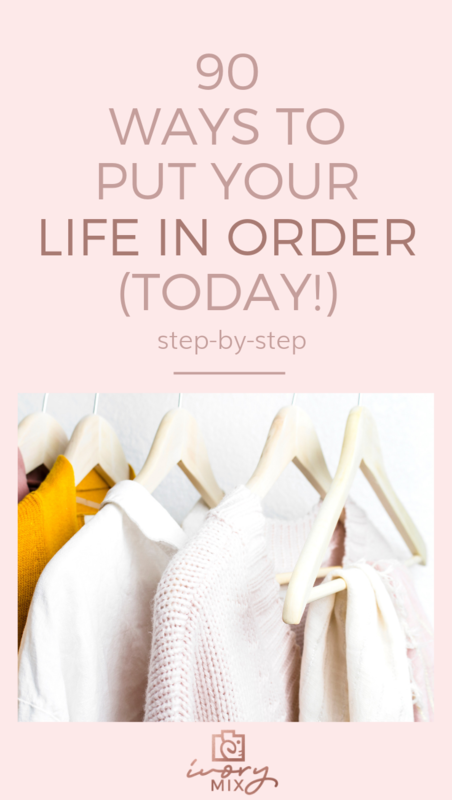 Which is why I created a list below of the 90 things you can do today to clean up and put order back in your life. The more you cut back on unnecessary ‘stuff’ and clutter, the less stress you will have, the freer you become and the more you can appreciate the few items that really matter to you. As I have grown my own online business (the website you’re on now), I have learned that time is precious. I also have a family of 5 and am providing the sole income for us. You can read and learn more about how I do that by clicking here. 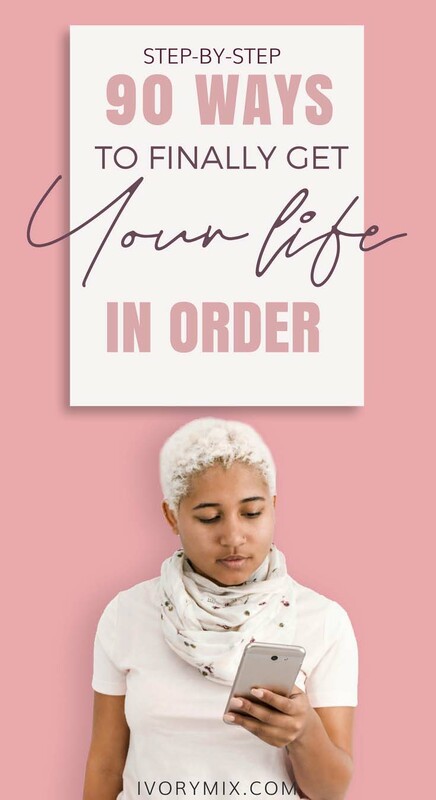 But the lesson for me in owning a business, running a house, and being the provider is – nothing is easy, but it gets a whole lot easier when things are clean, tidy, put away or there is just less of it all together. But what is ‘too much’? Isn’t it time you dusted the shelf in your bedroom? If the very thought of cleaning or organizing something is starting to make your stomach do summersaults, then you have too much on that surface or too much on your “plate”. It should take just a couple of seconds to wipe down a surface or make a list of things to do today. This is something a lot of us do without a second thought. But if you’re looking to rent, lease, or buy an entirely new home or office just to store more of your items, or “start fresh” then this is really something of a worrying sign. You should be able to make the most of what you have. This doesn’t sound like a big deal but it actually has a big psychological impact on how big and spacious a room feels. It’s important to include space in your home or office to let it breathe and this is a very important space that you should prioritize. The same is true of your to-do list. If you’re always pushing items to the bottom of the list, never being financially responsible like saving for emergencies or even a vacation, you’ll never be able to truly go anywhere (or on vacation) with that feeling that everything is right with the world. 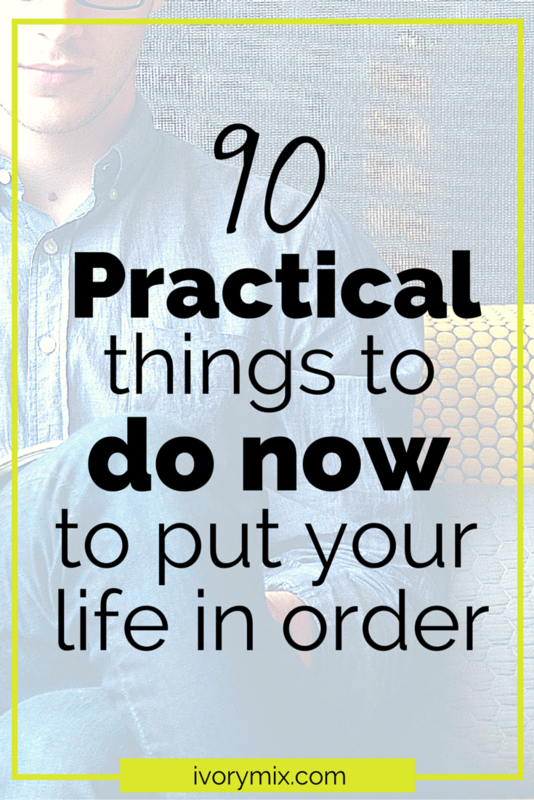 Ready for a shortcut to a more organized and stress-free life? Click here to download the FREE eBook and 40-page guide. Contemplate and write down what the next 5 years looks like. What will be different? Will you look into starting a blog and home business like this ours? Anything is possible! Housework can be a huge job. Learn to delegate. Make chore charts for everyone in your house. Even small children can help pick up toys and other things. As you learn that you don’t have to do it all, housework will become much easier. A good habit to start is filling your sink with hot soapy water every time you start to cook. This way you can “clean as you go.” As you get done with each pot or dish, wash it quickly. This makes clean-up a snap. Time for take-out? If there’s a day when you’re not using your oven, give it a quick spray of oven cleaner and forget about it. The next day, before you turn on your oven, give it a quick wipe down. You’ll find that the baked on stuff comes off much easier. It’s a good idea to keep a box or bag in your front closet that you put things you don’t need anymore. This really helps get rid of clutter in your home. When the box is full, simply drop it off at your local Goodwill store. This may be a small tip, but it can help in big ways. If you simply make it a habit to rinse your plate after dinner (and have all family members do the same), it will make washing them a lot easier. No one likes trying to wash dried food off of dishes. Housework can be overwhelming. Learn to break it down and tackle the smaller jobs first. As you do, each job will become easier. Also, if you clean the small messes before they get big, it’ll be a lot easier to clean up. A great shortcut for cleaning your tub and shower is to keep a bottle of shower cleaner handy. After you take a bath or shower, spray it down. You can take it a step further and keep a squeegee in it as well. If you make it a habit to do a quick pick up before going to bed, it’ll really help. You’ll find that it’s easier to wake up and feel good about the day if even one room is clean. If you make it a habit to line your fridge shelves with paper towels, it’ll make it a lot easier to clean. This will work especially well in the crispers, as the paper towels will soak up any extra wetness. As you leave the house, make it a habit to take the trash out. This is a simple tip, but why make extra trips if you don’t need to? This is also a great job to delegate to a teenager. They’re always coming and going anyway. Make a goal to do a few or just one of these items each day to find your work-life balance. You’ll quickly get organize and start to feel a little better about getting things done! great list of bite-size tasks! going to do a few today, starting with cleaning a fridge shelf! much needed!! That’s a good one. Makes you feel accomplished everyone you peek in. For me today, I’m taking down the Christmas tree! What an extensive list! Gave me a lot of ideas, thank you! I’ve pinned this to Pinterest because I need every single item on this list. I need balance. I need to declutter. I need clarity and peace this year. I will have it. Thank you and Good luck Nikki! The donation items piece is big for me! I’m trying to determine whether we’re actually going to have a garage sale or whether keeping boxes of old things around is just adding clutter to my house!! Be sure to check out ours! These look so manageable when you break them into chunks like this! I also have a bag to donate that has been in my house for months. I should probably go donate that.